Professor of Reproductive and Periconceptual Medicine, Robinson Research Institute, University of Adelaide. 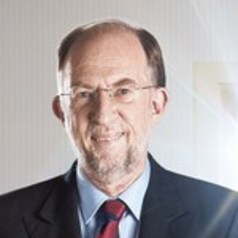 Founding Director of the Robinson Research Institute (2008-2013). Interested and experienced in assisted reproductive technologies and reproductive conditions such as polycystic ovary syndrome. Best described as a clinician scientist. Fellow of the Australian Academy of Health Sciences (2015), Officer of the Order of Australia (2013).